Evexia Diagnostics™ has been supporting functional medicine practitioners since 2007 with unbelievable discounted pricing on laboratory testing and clinical support tools like Functional Health Reports™ and EvexiaLink™ lab ordering. With only a handful of cash patients, you can more than pay for the $50 annual cost* of your account. After that, all those savings goes right into fueling your successful functional health practice. By becoming a client of Evexia Diagnostics, you will have access to both conventional and functional lab testing, all at discounted rates. * There is a one time $250 registration fee but if you mention “SAVE MONEY & TIME” receive $100 OFF enrollment. 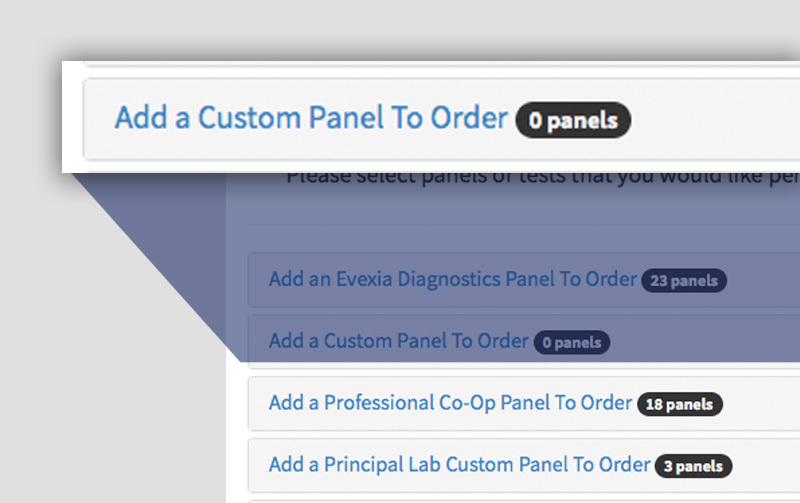 You’ll have more time to spend with your patients with our CUSTOM PANELS feature that makes ordering repetitive panel(s)/Test(s) a snap. Create any combination of test(s)/panel(s) you want and save them to your favorites for easy access. Save even more time diagnosing your patients with the use of our FUNCTIONAL HEALTH REPORTS™ that provides comprehensive interpretations designed to help you identify the most important and relevant clinical conditions present. What’s more, you’ll also get customized recommendations for the Evexia NutraceuticalsTM that best address each condition. "For over 10 years Evexia Diagnostics has been helping clinician save money and time." who use our services to provide better care to their patients. Please take advantage of a FREE TRIAL account to review our pricing and service. After that if our services are not for you at this time just walk away. If however you feel we can help your functional medicine practice upgrade to a full account. How To Become a full Client? Click Here to register for a full Evexia Diagnostics Account. Vice President of Business Development for Evexia Diagnostics.  "SAVE MONEY & TIME" you will recieve $50 OFF enrollment. We offer a line of high quality, research-backed nutraceutical products that are manufactured with qualified, superior raw materials at FDA inspected facilities. Evexia NutraceuticalsTM are transforming how clinicians manage the health of their patients by providing products that promote optimal health.